NEW YORK -- During the Danone Nations Cup, the world's largest soccer tournament for children ages ten to twelve, multi-platinum selling band DNCE will make a special guest appearance. The band includes Joe Jonas, Jack Lawless, Cole Whittle, and JinJoo Lee, who will be there to perform for the crowd attending the World Final. DNCE, who achieved international success with hits including "Cake by the Ocean" and "Toothbrush," will close out the tournament with their performance at the Red Bull Arena in New Jersey on September 24th. It marks the first time the tournament will be hosted in the U.S. in its 18-year history. DNCE will perform select hits for nearly five hundred young soccer players from thirty three nations, along with about 25,000 fans and soccer enthusiasts attending the World Final. Fans from the tri-state area will not only be able to see DNCE perform, but also watch and cheer for the twenty soccer matches played throughout World Final Day. It's a chance to enjoy family friendly activities and games focusing on active, healthy lifestyles, a chance to win exciting prizes, and more. "Every year at the World Final, children from around the globe come together for a day of fun and competition, but most importantly, a day to celebrate the important values of fair play, openness and friendship," said Emmanuel Faber, CEO of Danone. "It's a joy to bring such an accomplished band like DNCE to the fans and players to enjoy the music as we celebrate a day built on international camaraderie." Another notable figure joining DNCE at the World Final will be Abby Wambach, American retired soccer player, coach, two-time Olympic gold medalist and FIFA Women's World Cup Champion. Wambach will be supporting teams as the Danone Nations Cup's first-ever U.S. ambassador. At this year's tournament, Wambach will be onboard to meet and cheer on participating teams from all over the world, including the six girls teams competing in the inaugural girls' tournament as they compete for the title of Danone Nations Cup champions. 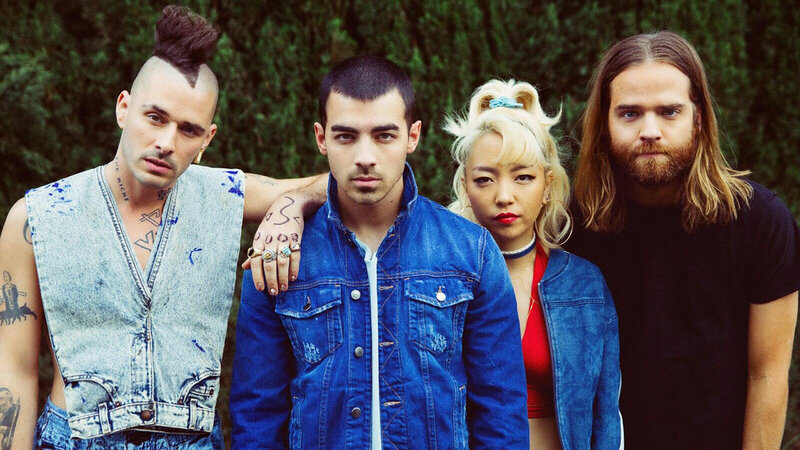 Eight lucky fans attending the World Final will get the chance to interact with DNCE in a meet-and-greet during the tournament. Come out and see all of the exciting action! For more information and tickets, visit www.danonenationscup.com. Fans can also follow the action on Facebook, Twitter, and Instagram or join in on the fun with #DNC2017.